Animal professionals are trained in the observation of animals. Anthropologists are trained in the observation of human culture. They have not been trained in animal behavior sciences so they can include animals in their study but only as an analogus relationship within the culture. Observing people and animals and their common culture requires a dual set of skills and training. Self-evaluation techniques often focus on dual relationships, specific times of direct interaction, and one perspective. 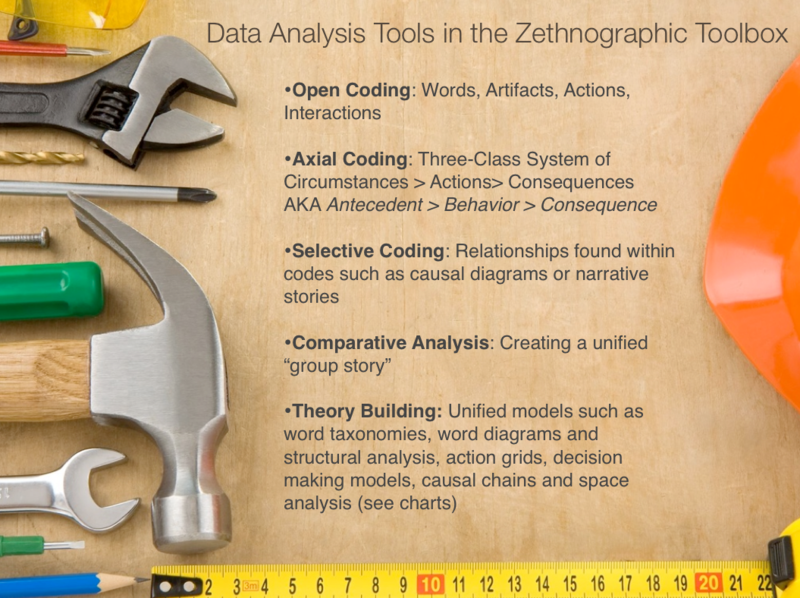 Zethnography adds the variables of multiple perspectives, increased layers of evaluation, multiple levels of interaction and multiple relationships. Outside evaluation is not judgmental and the zethnographer is trained to avoid personal opinions and evaluations in their data collection and reports. Although ethology, behavioral ecology, sociobiology, behavioral psychology, and behavioral physiology are all used by the participant observer, Zethnography goes beyond these techniques by providing a method of combining these techniques together with established and new data collecting and analysis methods for both humans and animals. Provides unique and effective methods of data collecting, uncovering cognitive structures and ethology, devising action plans and decision models, analyzing fieldwork and utilizing a variety of techniques for data reduction. Zethnography is more efficient than “trial and error” and more scientific than “casual observation”. Increased effectiveness of observation techniques will result in increased effectiveness of behavior management and enrichment programs, enhanced relationships within the culture and the final result of a happier and more entertained and satisfied public. Zethnography is a name penned by Wildlife Anthropologist, Kristie Burns. Dr. Kristie Burns, Ph.D, a wildlife and behavior anthropologist, holds a degree in cultural anthropology and linguistics from Northwestern University in Evanston, IL., USA where she studied under one of the founders of Systematic Fieldwork– Dr. Oswald Werner. During the past 23 years she has produced ethnographies of cultures around the world, native cultures and animal-human cultures. Dr. Burns is a Certified Wildlife Educator, member of the ZAA, and has completed multiple courses in animal husbandry as well as field courses in wildlife tracking and ethology. Dr. Burns mastered six languages including Arabic before studying the language of Wildlife Ambassadors, including feline and canine language. Dr. Burns is currently the CEO of The BEarth Institute, Inc. where she has worked on curriculum development, teaching and consulting since 1989. Follow updates, progress and tips about Zethnography on her Facebook page HERE.